Dr. Karlene ChinQuee is a board certified Obstetrician/Gynecologist who practices Integrative Age Management and Preventive Medicine. She specializes in Age Management, Functional Medicine, Bioidentical Hormone Therapy, Nutrition and Fitness, Environmental Medicine, Bariatric Medicine and Aesthetic Medicine. Dr. ChinQuee is a Diplomate of the American Board of Anti-Aging and Regenerative Medicine and Fellowship-trained in Anti-Aging, Regenerative and Functional Medicine. She has completed Physician Training & Certification in Age Management Medicine, jointly sponsored by CERF and the Foundation for Care Management (FCM). Dr. ChinQuee studied mesotherapy and advanced aesthetic techniques in Paris, France and Monaco with world-renowned experts in aesthetic medicine, plastic surgery and dermatology. 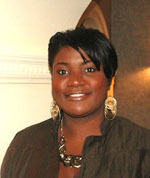 She is certified in biopuncture and fully versed in acupuncture techniques. Dr. ChinQuee has been in private practice since 1990 and is an Attending Physician with privileges at Lenox Hill Hospital North Shore LIJ in New York City, and Chief Medical Officer of The ChinQuee Center for Wellness & Aesthetics on Fifth Avenue in Manhattan. 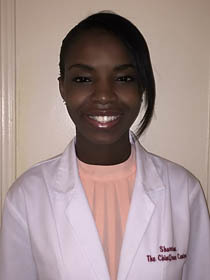 A graduate of Brown University and SUNY at Stony Brook School of Medicine, she trained in Internal Medicine; and in Obstetrics and Gynecology at St. Vincent’s Medical Center, Staten Island, New York where she received the “Intern of the Year” Award. 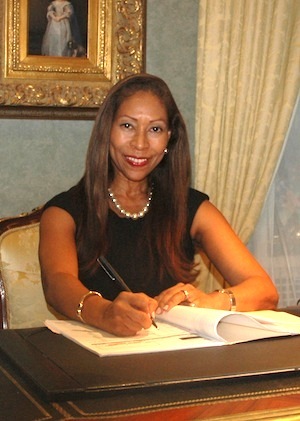 In addition to engaging in private practice, Dr. ChinQuee currently serves on the Medical Advisory Council of the Endometriosis Foundation of America; The Legislation/Government Affairs Committee of the New York County Medical society; the Legislative Committee of the American Congress of Obstetricians and Gynecologists; and is Vice President of the New York Gynecological Society. 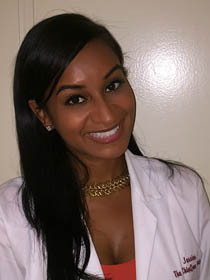 Prior to engaging in private practice, Dr. ChinQuee served as Clinical Instructor in Obstetrics and Gynecology, College of Physicians and Surgeons, Columbia University, and was an Attending Physician at Harlem Hospital Center, Department of Obstetrics and Gynecology, working with high risk pregnancies and teen pregnancies. Dr. ChinQuee has served as Consultant in Obstetrics and Gynecology, Columbia University Women’s Gynecologic & Health Services, and as Gynecologist, Barnard College Student Gynecologic & Health Services. She is a former appointee to the Office of Professional Medical Conduct, by the Commissioner of Health, and a former Member of the American College of Ob-Gyn/Department of Health Joint Taskforce on OB/GYN Quality of Care. Dr. ChinQuee is an expert in women’s health and has lectured extensively on women’s health issues in the United States and abroad. She has frequently appeared as a medical expert on major television newscasts, including Dr. Oz, Entertainment Tonight, CBS, WPIX, ABC Eyewitness News, Fox News and USA Live; and was designated as one of New York City’s best doctors in Essence Magazine under “Caring and Capable Female Doctors in the U.S.” She was profiled as Notable Healer…Holistic Hero in Martha Stewart’s Whole Living Magazine. Dr. ChinQuee has been awarded the 2008 Ellis Island Medal of Honor. It recognizes distinguished Americans from various ethnic backgrounds who have made significant contributions to our nation’s heritage. The honorees are awarded for showing outstanding qualities in their personal and professional lives, yet maintaining the richness of their particular heritage. Honorees typically include U.S. Presidents, Nobel Prize winners, leaders in industry, and gifted artists, performers and athletes. The list of past recipients includes Presidents Reagan, Ford, Clinton, and George H.W. Bush, Secretary of State Hillary Clinton, General Norman Schwarzkopf, Muhammad Ali, Joe DiMaggio, Barbara Walters, Donald Trump and Lee Iacocca. In 2009, Dr. ChinQuee received the Shining Star Award from the Lenox Hill Hospital Department of Obstetrics/Gynecology for excellence as a physician and for her humanitarian leadership of Heartbeats of the World. 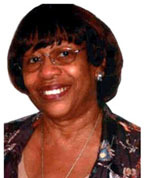 In 2010, Dr. ChinQuee received the prestigious Vice Chancellor Achievement Award from The American Foundation for the University of the West Indies (AFUWI) for her high levels of achievement within the field of medicine and for her humanitarian efforts. In 2012 she received the distinguished international 2012 Woman of Great Esteem (WGE) Emerald Award of Excellence for her outstanding contribution in the field of medicine. In 2016 she received the 2016 Outstanding 50 Asian Americans in Business Award which is awarded to the best of Asian American entrepreneurs, professionals and corporate executives.